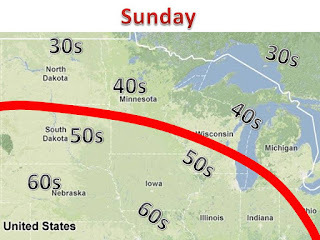 Midwest Winter Weather Blog: Historic Warm Up? Sunday will be the transition day. A warm front will push north shifting winds in a southerly direction, pumping up much warmer air. 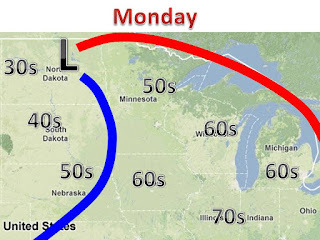 Monday will be the warmest day. Much of the midwest will topple record highs for the day, and many spots will flirt with hitting their all time December highs. After Monday a cold front will move in and bring temps down to seasonable level. We are watching the possibility of a major cool down come next weekend, and a likely pattern change that will bring the full force of winter. Stay tuned!